If anyone needs evidence why arming teachers is not the brightest idea — even under the best of circumstances — look no further than the incident that occurred in a California school last week that could have ended in tragedy. Dennis Alexander, a teacher at Seaside High School near Monterey accidentally fired a gun during an “Administration of Justice” class. Alexander was supposedly teaching students about gun safety and was pointing his gun at the ceiling when it went off. Debris from the ceiling fell on several students. Only one — 17 year old Fermin Gonzales IV — was taken to the hospital by his parents who said their son had bullet fragments in his neck. This is relevant because Alexander is not your run-of-the-mill teacher. In fact, he may be exactly the kind of person that President Donald Trump and Secretary of Education Betsy DeVos have in mind when they talk about arming a select number of teachers as one of their main responses to the Parkland, Fla., school massacre last month. As a reserve police officer for over a decade, Alexander was trained to use firearms. In 2013 he was even named Reserve Officer of the Year. He is Mayor Pro Tem of the Seaside City Council. The gun he was using was allegedly his police service weapon — a Glock 21 .45 caliber handgun, Local KSBW television reporter Caitlin Conrad reported. This apparently was not the first time Alexander had used his gun to demonstrate to students how to use it safely. This time, however, the gun went off. It seems that by bringing his gun to school Alexander was in violation not only of district procedures but also of amendments to California’s Gun Free School Zone Act of 1995 approved by the Legislature last fall. While the district looks into what exactly happened, the incident underscores that having guns in a classroom, even with a trained teacher like Alexander, can result in accidents. There is a good chance that incidents will happen far more frequently than a mass shooting on a school campus — an extremely rare event. Even if there were such a shooting, the odds are slim that a teacher with a single handgun, even one as lethal as a Glock 21, would be in a position to stop an assassin with an automatic rifle like Nikolas Cruz, especially on a sprawling high school campus like Seaside High. But that is hardly the point. Alexander may be a good person, a great teacher and an excellent reserve officer. The issue here is whether teachers should be armed — even someone as well-trained as Alexander supposedly was. The only reason this is at all an issue is that Trump wants to arm at least some teachers and Attorney General Jeff Sessions is promising to use existing funds to help states do so. “By leveraging existing assistance programs, the Department of Justice will be able to empower state and local firearms and situational awareness training for school personnel,” Sessions announced last week. Trump’s teacher training plans have evoked strong reactions — and resistance from multiple quarters. But if Trump gets his way, variations on that question are likely to be asked across California and the nation a lot more frequently. 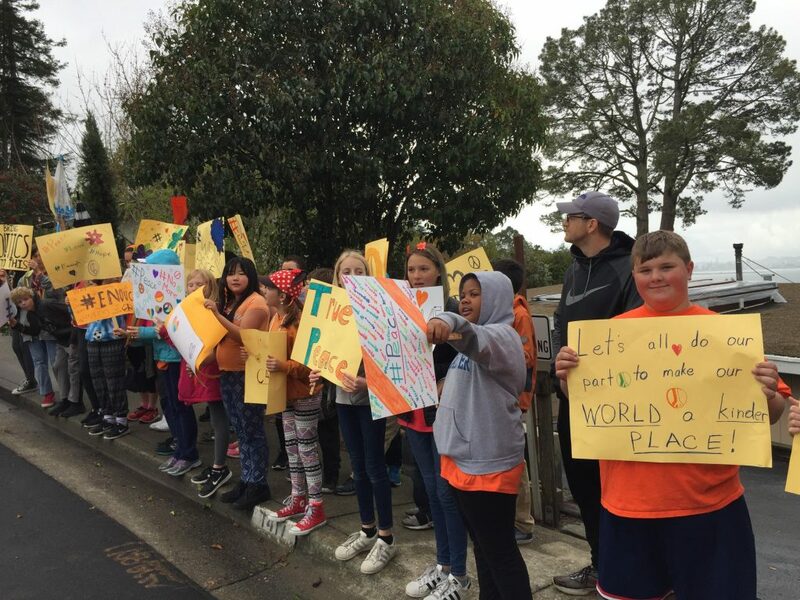 What happened in a coastal California classroom last week makes it clear why having more guns in classrooms has the potential to make those classrooms less safe. Today’s incident involved “an armed resource officer,” in order words, an on-duty police officer whose job it was at the time of the incident to be armed and use deadly force in the face of a shooter. Massive difference between that and arming teachers. Just what we need: generalizing as a result of a single stupid incident. You focus on how dangerous this teacher’s actions were. That is the point… try stopping there next time. Denying there is some value to arming a very few carefully selected and willing teachers is to deny at least one potential step to make schools safe and secure. School safety is multidimensional, which you fail to address. Kinda a shame that today a school shooter was shot dead by an armed resource officer blowing your argument up just a tad. Yes let’s just leave all schools in California gun-free zones; it’s not like some nuts job will target it solely on the basis of knowing no one in the school is armed. Florida school massacre yet another example of failure to regulate guns in U.S.